Marvin began his career with one of the nation’s largest jewelry chains and worked his way up to the director of sales position. It was here that Marvin began refi ning his approach to training. In total he trained more than 1,200 associates in 95 stores during his time with the organization. Since that time, Marvin’s captivating presentations have assisted hundreds of organizations to meet or exceed their sales goals using his training programs. Many of Marvin’s clients have said that getting “Marvinized” has truly made a difference in their company and Marvin has become a mandatory part of company training. Marvin is the author of Practice Makes Perfect that is available at MarvinMontgomery.com. 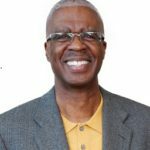 He is also a regular contributor to magazines such as Smart Business Cleveland and Smart Business Akron/Canton, COSE Update, and the Cleveland Plain Dealer.